The Alternative adventure bus tour in New Zealand. We’re just going to say it: there are a few drawbacks to bus tours in New Zealand… Long journeys in uncomfortable coach seats, sharing a bus and accommodation with 40 other people, and seeing the same five cities that everyone else sees. However, there’s a new bus tour in New Zealand that might just make you think twice about bus travel in New Zealand. They’re called Wild Kiwi and they’re now New Zealand’s first flashpacker bus tour! With flash cruiser-style vehicles, super small groups and some exciting New Zealand itineraries, Wild Kiwi might just be the answer to experiencing a more luxurious backpacker tour for 18-35 year-olds. Because it’s important to know all your travel options so you can really make your time in New Zealand your own, we’ve put together this quick guide to what Wild Kiwi is all about. Travel in luxurious vehicles with spacious recliner seats and huge scenery-hugging windows! Flights between islands on nationwide tours are included. Let’s address the elephant in the room: the Wild Kiwi vehicles. Far different from your cramped coach, these luxurious cruisers are kitted out with spacious leather seats, personal USB ports, huge scenery-encapsulating windows and more. They certainly turn your backpacker bus tour into a flashpacker bus tour. With so many awesome sights and activities scattered across the country, any trip in New Zealand involves a lot of travelling. Being on the road is a huge aspect of your trip! The Wild Kiwi vehicles makes the journey feel more like an awesome activity in itself, rather than just going from A to B. Wild Kiwi offers seven different trips to adventure-seekers wanting to experience both the highlights of New Zealand, as well as some lesser-known gems that the guides can’t wait to share with you. Choose from three 7-day tours, three 14-day tours or a 21-day blast around the whole country. If you like big mountains, big adrenaline activities and big adventures then consider hopping on the Southern Voyager Tour. This tour includes the major highlights of the South Island with the most extreme scenery: Franz Josef Glacier, Queenstown, Milford Sound and more! In fact, the itinerary is almost identical to the one we recommend in The Best Way to Spend 7 Days in the South Island. Pristine golden sand beaches, rugged wave-carved cliffs and a marine mammal mecca all await in the northern end of the South Island. On the Southern Loop, you’ll get some of the best coastal experiences New Zealand has to offer with the famous Punakaiki Pancake Rocks, Abel Tasman National Park, Kaikoura and more! The Maori culture, geothermal hot spots, stunning beaches and glowworm caves are just some of the highlights of exploring the North Island. Wild Kiwi uncovers all of this, plus surfing in Raglan and getting off the beaten track in the wine-lovers city of Napier in the Northern Voyager tour. More time means more everything! Experience both epic alpine scenery and adrenaline activities in the Southern Voyager trip AND the cultural, geothermal and glowworm cave hot spots from the Northern Voyager trip. What’s more, the flight between the North Island and South Island is included. Don’t miss a thing in the South Island with this fortnight trip encompassing highlights from both the Southern Voyager tour AND the Southern Loop tour! Beaches, wildlife, mountains, fiords, adrenaline activities: it has it all. Explore both New Zealand islands, from the magnificent coastal experiences of the South Island’s Abel Tasman, Kaikoura and West Coast to the North Island’s beautiful Coromandel and Raglan beaches. Plus, you’ll get to experience the local culture and geothermal parks of the North Island too with this tour encompassing both the Southern Loop trip AND the Northern Voyager trip. Plus, the flight between the islands is included. This is the big one! Tick off everything from your New Zealand bucket list on this 3-week trip which combines all the Wild Kiwi routes into one with a flight between the islands included! Sounds pretty epic, right? For more information on these tours, complete with a full itinerary, head on over to the Wild Kiwi website. Often, what makes or breaks a New Zealand bus tour is the guide. The Wild Kiwi guides are passionate about their country (because yes, they’re Kiwi!). 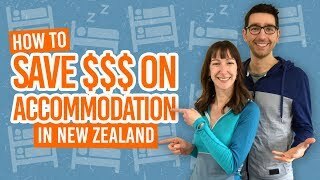 Having travelled the world themselves, they’ve not only experienced what makes an awesome trip, they create this experience for travellers in New Zealand! The Wild Kiwi guides know the hidden gems, know the most scenic roads, and are stoked to share it with you. What’s more, you guide is part of your group getting involved with the experiences with you for a more personal experience. It’s just one more person to friend on Facebook after your trip! Who Travels with Wild Kiwi? A flashpacker vehicle, an action-packed New Zealand itinerary, a super passionate and fun guide… The only thing missing are some like-minded travellers to share the experience with. So who else will be on the Wild Kiwi trip with you? Wild Kiwi attracts open-minded travellers from all over the world. It’s true, sharing your vacation with a bunch of “strangers” is not the norm, but you’ll be surprised at how quickly and normal the feeling becomes after only the first day. Wild Kiwi has small group sizes, 18 passengers or less, meaning that you will get a much more personal experience and get the chance to make some real friends on the trip. The age range of Wild Kiwi passengers is 18-35 years old. They come from different countries, different professions or even straight out of school. You’re sure to meet an interesting and diverse bunch but all with the same goal of experiencing the best of New Zealand together. While some Wild Kiwi passengers are a couple of friends, couples or groups that hire the whole vehicle to themselves, many passengers are actually solo travellers. Not only that, they’re first time solo travellers, making Wild Kiwi an ideal solution to travelling New Zealand without the stress of having to organise and travel the country alone. 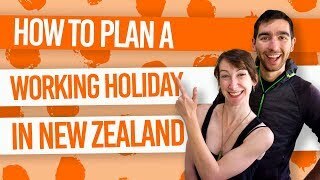 Learn more about how to make a solo trip in New Zealand epic at Solo Travel in New Zealand: How to Make it a Non-Solo Experience. Picture yourself hitting New Zealand’s most stunning locations with a groups of awesome people? Make it a reality! Find out more about Wild Kiwi adventure tours.